Deal Physical damage to target enemy. This attack deals 50% more damage to buffed enemies. While Geonosian Spy's Starfighter is active, all Geonosian allies gain +10% Offense for each active Geonosian ally. 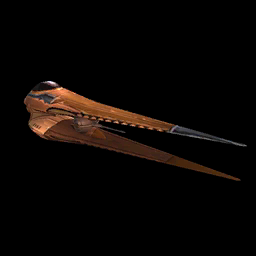 In addition, Geonosian Spy's Starfighter has +30% Critical Damage while Stealthed and +25% Evasion while out of Stealth. When he takes damage, he and Geonosian Soldier's Starfighter gain Stealth for 1 turn. Enter Battle: Grant Taunt to target enemy and another random enemy without Taunt for 2 turns, which can't be Resisted. Deal Special damage to target enemy and inflict Defense Down for 2 turns. Call all other Separatist allies to Assist.